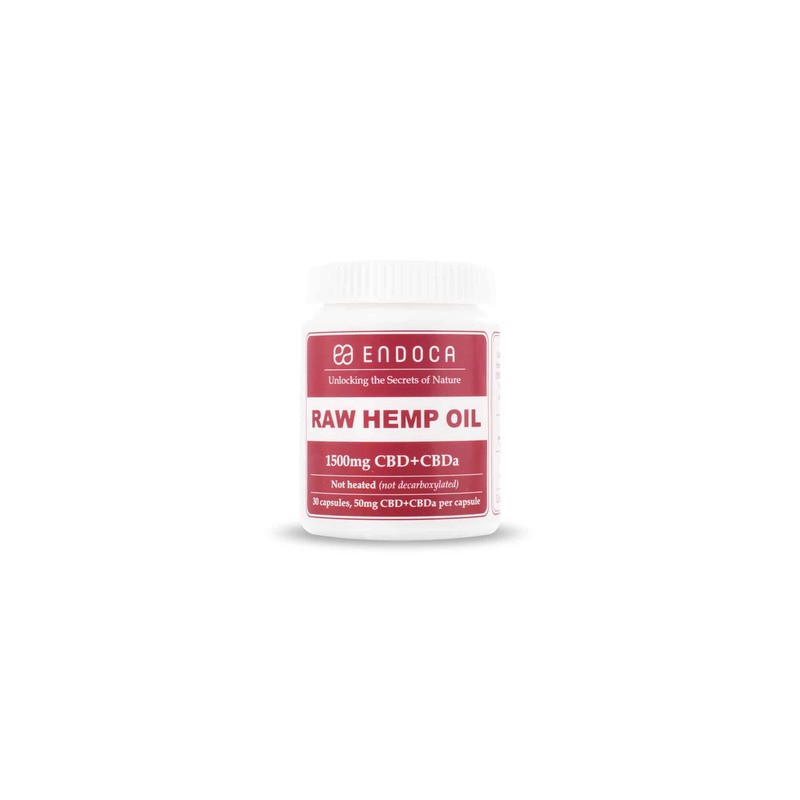 Endoca Raw CBD Hemp Oil capsules are concentrated, ultra-pure, and premium quality. If you are looking for a powerful and easy to use raw CBD capsule, these are a great way to get the CBD you need without all the mess! 1 bottle containing 30 50mg capsules for a total of 1500mg of raw CBD. Endoca's suggested serving size is 50mg taken three times a day. For most people 150mg of CBD per day just too much unless you are treating something serious. If you need less CBD you should consider buying the less concentrated CBD capsules found here. Ingredients: Containing over 80 different phyto cannabinoids, including CBD, CBC, CBG, and CBN, the oil is rich in naturally occurring terpenes, the most common of which are Myrcene, Limonene, Alpha & Beta -pinene, Linalool, B-caryophyllene, Caryophyllene oxide, Humulene, Nerolidol og and Phytol. In addition, other natural molecules found in the oil include Alkanes, Nitrogenous compounds, Amino acids, Sugars, Aldehydes, Alcohols, Ketones, Flavanoids, Glycosides, Vitamins, Pigments, Water and Hemp Seed Oil. *CBD is a natural constituent of the hemp plant. Application: Food *Store away from sunlight, heat and humidity, refrigerate.